More snow, more snow days, more electrical bills, more winter. Every February I begin to view the winter sports suspiciously, as if they are a prison trick to distract me my from incarceration. Alas, there’s a lot more winter to come. And truly once I’m outside — whether it’s for a simple ski, or an hour nymphing a pool — I know there’ll be sweet moments yet to come, moments unique to winter. Like the Landing Fish. I first saw this fish sitting out from the launch after I’d shoved the boat nearly on top of it. I threw a pebble to test my eyes, and the trout swam over as if to eat the pebble. Easy work, I thought. I tried a streamer because that’s the only rod I brought…and he spooked. That should have been a sign. Over the last three months, I’ve pulled into that landing at least ten times. Half the time, the fish was either not there, or the glare was too bad to see him. When I could see him, I’d suit up, walk down, sneak into position, and not catch him. My encounters went something like this: I’d throw one cast, the trout would wait until the flies drifted past before turning and following them downstream. At some point, he’d get too close to me, or decide my flies looked like crap, and he’d spook. The other day, after getting skunked at a nymph spot, I stopped at the landing to see if the trout was there…and he was. This time I fished from straight across…it was one of the few times I could easily see him from directly across river from him. My first rig was inspected and rejected. My second rig was ignored. My third rig was snagged and lost in the tip top of the tag alder behind me. I re-tied, cast short, and the trout disappeared, or shifted, or otherwise grew translucent. When this happens, I generally count one, two, three and set the hook. And he was there. He was a she, fat, with an old heron poke on her port side, just below the dorsal. She was covered in perfect black spots, and a few red ones. Near the end of the fight she jumped, and I whooped, even if it was a bit anti-climactic. Fifteen or sixteen inches, and in perfect health. An end to a three-month vendetta. On the victorious walk up to my truck I realized I’d left the engine running. I guess it doesn’t mean much, but it did give the encounter a perfunctoriness, as if I’d just run into the corner store for some bread. Dude…on every single level, not even close. We continue to fish when we can. 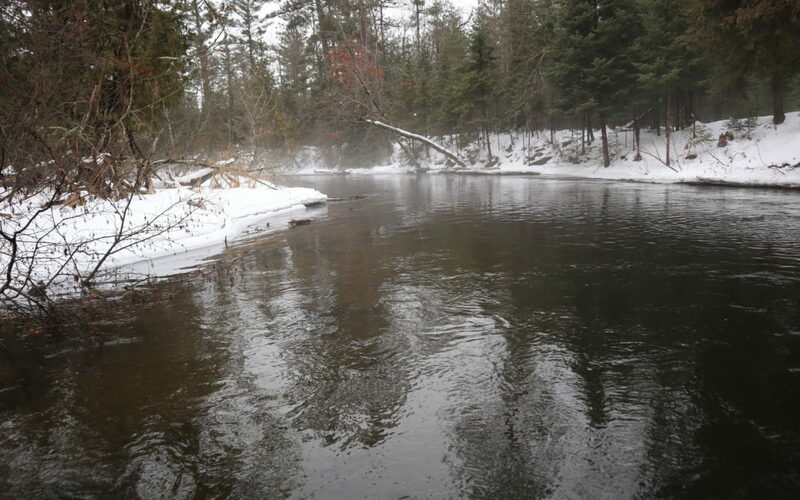 The trout are in full-on winter mode. The nymph trout are in the pools, slow water, and sand…and each requires a different approach. I sight fish a lot of the slow, sandy water. I nymph fish the pools. I’ve been doing well with slim, tungsten nymphs on finer tippet under a smaller indicator. 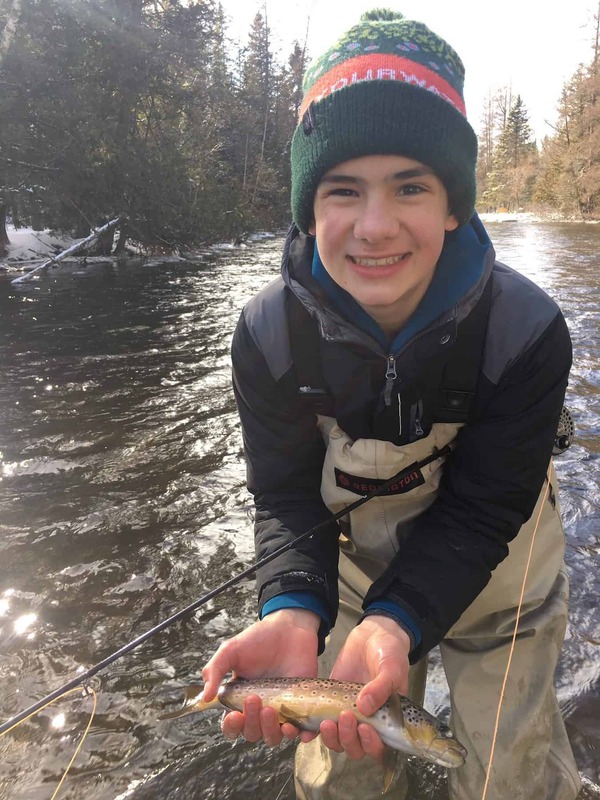 On the really cold days, the streamer fishing can be pretty good provided your fly is large and is fished slowly in even slower water. Any color can fool a hungry trout, but black seems to fool some of the not-so-hungry ones as well. However…We have two new classes on the docket! Join our number one commercial tyer John Sheets as he shares some of his unique dry fly tricks including his Twisted Body Hex and Gorilla Glue Ant. John’s flies and fly design forms the backbone of Gates’ fly selection. This is a can’t miss class as John reveals some tying secrets that even I haven’t seen! All materials supplied, participants provide tools and vises and, if possible, their preferred tying lamps. Class is $50, and includes dinner. Please call 989 348 8462 or email [email protected] to book your spot. 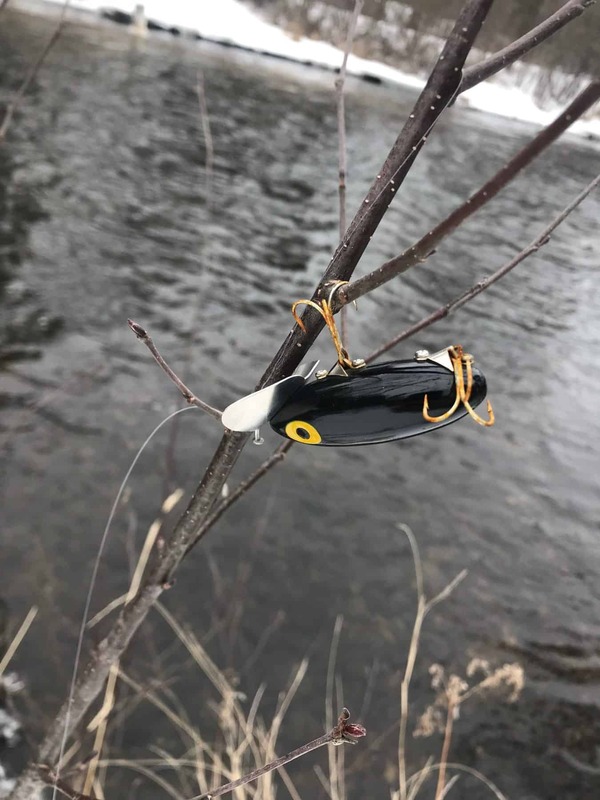 The dry and dropper is a killer set-up for the Au Sable from May thru October…during this class Josh will cover some great dry flies including the Awesome, the Patriot Skunk, and the Yarn Skunk, and some of Denny’s secret dropper nymphs as well. We’ll also talk you thru the basics of fishing this rig to maximize what once were the slow times of your day. All materials supplied, participants provide tools and vises and, if possible, their preferred tying lamps. Class is $50, and includes dinner. Please call 989 348 8462 or email [email protected] to book your spot.